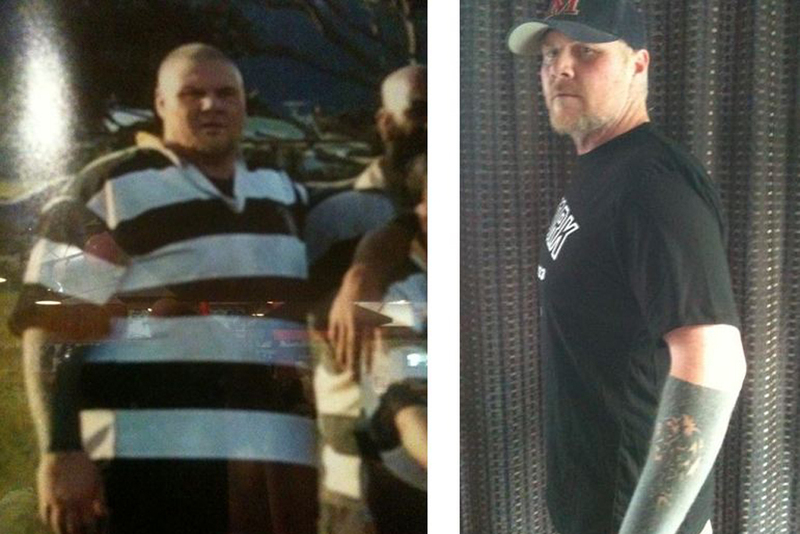 Meet David… A Really Special Guy Who Lost 60 Kilos Following Pure hCG Program… Proud of you David! I first heard of the Pure hCG through a friend but didn’t really take much notice of it at the time being skeptical of different weightloss fads as I had tried different diets most of my life without any great success. It wasn’t until another friend lost 20 kilograms and had mentioned he did it on Pure hCG eating plan that I took notice. I’m 36 years old now and have been 120+ kilograms since 18 years of age due to my own laziness, having kids and not really making time to take care of myself. I hadn’t weighed myself for around 10 years where I weighed 126 kilograms so I thought I would have been around 135 kilograms, I was shocked and embarrassed when I hopped on the scales the day I started Graeme Jordan’s Plan to find I was now 160 kilograms! From there I set myself a goal of getting down to 95-100 kilograms. After the first 7 days I had lost 11.8 kilograms and my whole mind-set about eating, weight and health had changed. Now after finishing I have lost 31.5 kilograms and managed to lose another 4 kilograms in the maintenance period for a total of 35.5 kilograms and have today just started my second 40 day program to get to my goal weight. Things that you don’t really get told about it is the medical benefits. For the last 15 years I had suffered from chronic indigestion and heartburn and would go through a packet of Quick-Eze a day without fail, from the day I started I haven’t suffered from either and don’t have to worry about being stocked up with antacids. So thank you for reading my story and thank you Graeme Jordan for your support and great natural product. Regards, David.